An instant classic, the Casa Magna Robusto cigar was awarded the designation of the Number 1 Cigar In The World for 2008 by Cigar Aficionado Magazine. This is a medium-to-full bodied super-premium Nicaraguan puro cigar that was developed through a long collaboration between Fonseca's Manuel Quesada and Nestor Plascencia. An instant classic, the Casa Magna Robusto cigar was awarded the designation of the Number 1 Cigar In The World for 2008 by Cigar Aficionado Magazine. This is a medium-to-full bodied super-premium Nicaraguan puro cigar that was developed through a long collaboration between Fonseca's Manuel Quesada and Nestor Plascencia. 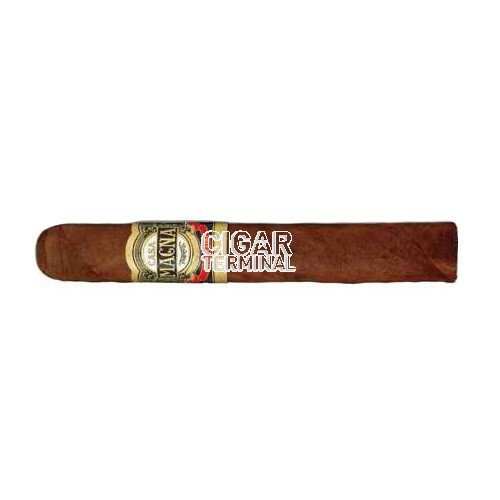 The all-Nicaraguan tobaccos used in Casa Magna cigars deliver a tremendous depth and complexity; a clean and crisp sweetness; with toasty aromas. All this is wrapped in a rare Cuban-seed ligero wrapper leaf with a great sheen and oiliness.